Great shopping experience!! Super fast shipping!!!! Fast shipping great seller thanks!! 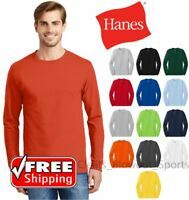 Hanes "lost the order in their system", so the order was cancelled. Size large boxer brief do not fit like a normal size L and quality very poor. Took 2 full weeks for delivery! Est.was 1 week.Super slow shipping but I got it! Shipment arrived more than a week later than estimated. 48 hours to respond to email, slow shipping item was fine,no customer service. NEVER RECEIVED MY ORDER! BUYERS BEWARE! NO RESPONSE FROM SELLER! Sent me the wrong item never returned email. SAVE TIME AND HASSLE DONT BUY!!!! !